Dimensions 0.75 by 4 by 7 in. After inheriting the Ballyrourke Estate, Katherine Rourke heads for Ireland to claim her legacy and to discover the secrets of her family's past, only to encounter handsome estate manager Colin MacCormack, whose clan had once owned Ballyrourke. Original. Amazon.com description: Product Description: After inheriting the Ballyrourke Estate, Katherine Rourke heads for Ireland to claim her legacy and to discover the secrets of her family's past, only to encounter handsome estate manager Colin MacCormack, whose clan had once owned Ballyrourke. Original. 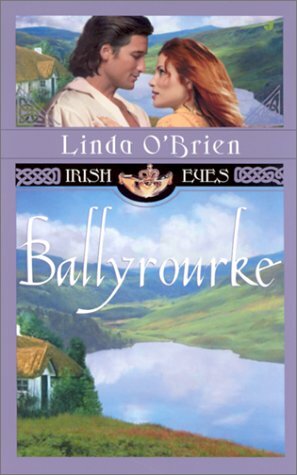 About: After inheriting the Ballyrourke Estate, Katherine Rourke heads for Ireland to claim her legacy and to discover the secrets of her family's past, only to encounter handsome estate manager Colin MacCormack, whose clan had once owned Ballyrourke. About: ‘A book for every teacher’s bookshelf. About: Using Social Media in the Classroom An accessible and practical overview of using social media technology intelligently and safely in teaching at all age ranges. About: Using Social Media in the Classroom is an essential guide to Web 2. With Tabor Evans | from Jove Pubns (December 1, 2002); titled "Longarm in Paradise"
About: When his old friend Marshal Monty Kilpatrick is murdered by a gang of vicious killers, Longarm sets out to avenge his death and make things right with his family, regardless of the cost. With Linda O'Brien | from Jove Pubns (October 1, 2002); titled "Ballyrourke"